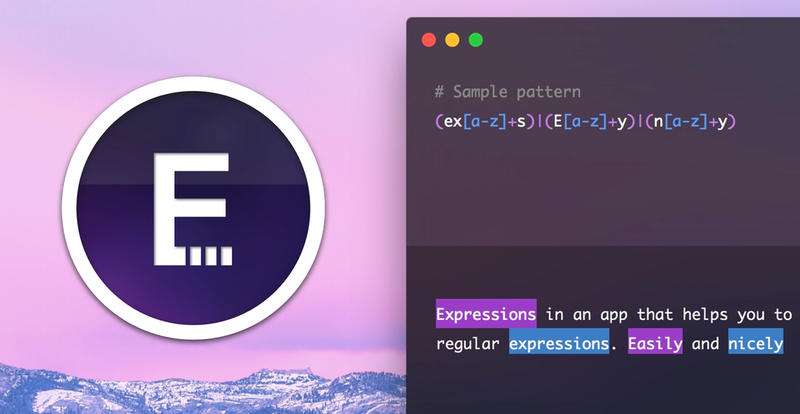 Expressions allows you to play with regular expressions. Just type your pattern and some text to test it. All the changes are updated while you're typing text or pattern. The app highlights the syntax, so the pattern is easy-to-read and modify. If you use subexpressions (groups), you can highlight them by pressing cmd+shift+] (or [ – for decreasing the highlighted group number). The user interface is very minimalistic and non-distracting. By default the color is the same as your menubar, but you can always switch to dark or light mode manually (see: Preferences). You can also open app in beautiful full screen mode which is perfect when you want to focus or to demonstrate regular expressions to other people.